America has the Kentucky Derby. Canada has the Queen’s Plate. The race that Australia is known for is called the Melbourne Cup. Held each November, the Melbourne Cup is highly regarded on the Australian continent. It is often referred to as the “Race that Stops a Nation” and is contested at a marathon distance of two miles on the turf course at Flemington Racecourse. You can bet on this race and many other when you sign up for an online racebook. In November of 1861 an Australian racing steward named Frederick Standish decided to create a race that would showcase the best horses competing at the Victorian Turf Club race meetings. The very first edition of the Melbourne Cup drew a field of 17 horses. What made this first Melbourne Cup unique was its winner-take-all purse structure. The winning owner received a sum of 710 gold sovereigns, a considerable sum in 1861 . Owners were also given a gold watch. From the very beginning the race drew attention. There were more than 4,000 people in attendance that first year who watched Archer complete the race in 3 minutes and 52 seconds to claim the victory. The event was marred by tragedy. Three horses took a spill during the running of the event, and two of those runners died. What is amazing about Archer is that he won another two mile event the very next day. Horses today would never be subjected to such an attempt. By 1865 the race had become so popular that businesses in Melbourne were closed for a half-day so that workers could observe the race. It also became tradition around that time to host the race on the first Tuesday in November. This continues today, with many businesses closing in honor of the racing festivities. 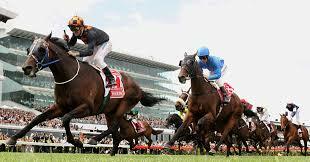 The Melbourne Cup is a thoroughbred horse race that is open to horses that are three years of age or older. Compare this with the Kentucky Derby in America where only three year old horses are permitted to compete. Another difference between the two races is that the Melbourne Cup is contested on the grass. In Australia all races are ran on turf courses. The race is held on a left-handed race track. The Melbourne Cup is classified as a handicap race. This means that horses in the event are assigned different amounts of weight to carry based on their level of ability. Horses that have better win records will be given a higher amount of weight to carry. This is done to level the playing field and make the race more competitive. Horses for the race must be nominated by their owners. A nomination fee applies. This fee is $600 and about 300 to 400 horses are nominated each year. Only 24 horses will be permitted to take the tarck on race day. The size of the field is often criticized for being too large, just as the field of 20 horses in the Kentucky Derby is criticized. Some people feel that the presence of a larger field puts the horses at more risk. Horses that are chosen to ultimately compete in the race must be supported by fees that exceed $50,000. Each owner is responsible for paying a horse’s entry fees. Those who pay the fees must undergo a balloting process which is used to narrow down the field of starters to 24. This balloting is conducted and overseen by a racing secretary. Horses that win specific stakes race events may be given an automatic entry into the race. The Melbourne Cup has come a long way since it was first ran. It currently has a purse value of $7,300,000. This makes it more valuable than the Kentucky Derby and one of the richest horse races in the world. The top 12 finishers in the race all win a share of the purse. The winner of the event takes home $4 million. In recent years the value of the race has been climbing. Between 2010 and 2018 the value of the race increased by more than $1 million. The manner in which the purse is distributed is somewhat different than it is in American horse racing. 85% of the prize money earned by the winning horse is given to the horse’s owner. The trainer receives 10% of the purse. The jockey who rides the winning horse is given 5%. Winning jockeys in America are generally given 10% of the winning purse while trainers are not assigned an allowance. The owner of the horse can reward the trainer at his or her discretion. Another benefit of winning the race is the trophy that is awarded. In the first race the owner was given a watch of beaten gold. Today, owners are given a trophy in a tradition that dates back to 1865. The trophies are made each year and have slight variations in their design to make them unique. The winning owner is permitted to keep the trophy for all time. Each trainer and jockey that wins the Melbourne Cup is given a smaller replica of the winning trophy. The trophies are hand-spun from 18-carat gold. Since 2003 the Melbourne Cup trophy has been taken on a tour of Australia where it is displayed to school children and local communities. This initiative is done to promote the sport of horse racing on the Australian continent. The best way for bettors to make wagers on the Melbourne Cup is through an online racebook. This is especially convenient for those bettors who live outside of Australia. 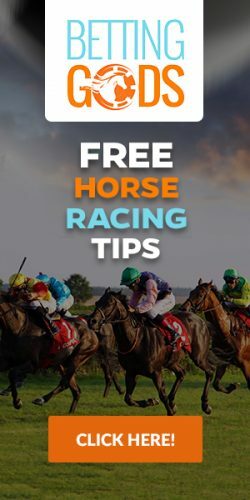 Almost all of the online racebooks that are recommended by EZ Horse Betting include Australian racing on their betting menu. You begin by selecting an online horse racing site that offers Australian racing. You then sign up and make a deposit with cash or Bitcoin. The final step is to make your Melbourne Cup selection and place the bet. If you are among the lucky bettors that choose correctly, you could walk away with a nice profit! Just like in America you can also take advantage of special wagers on Melbourne Cup day. These bets include exotic wagers that will help you to increase your payout. You can also choose to bet the race straight.